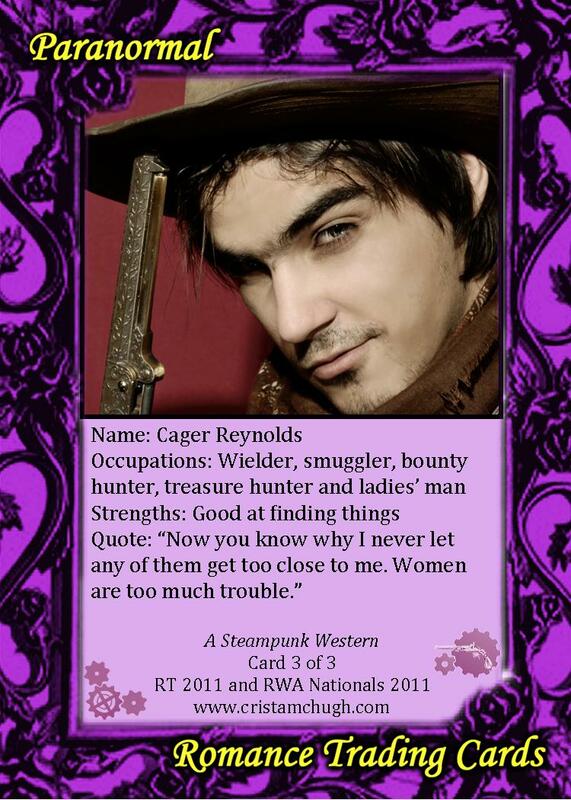 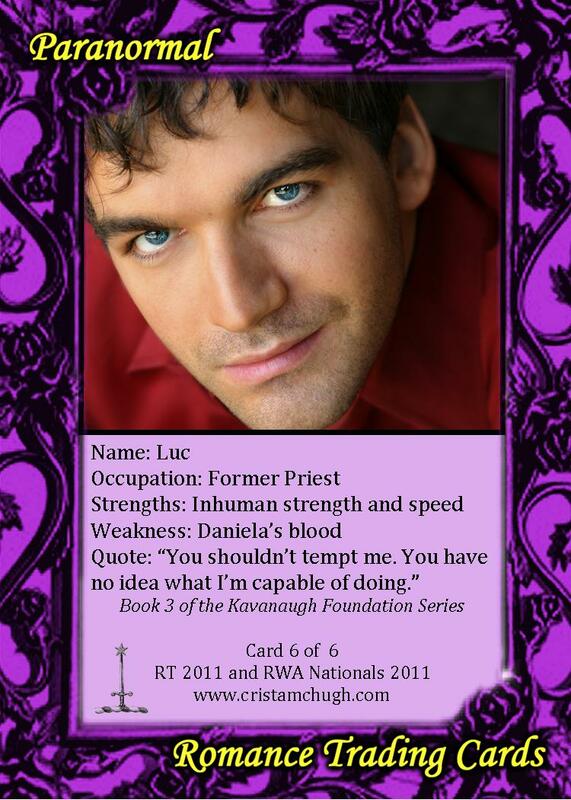 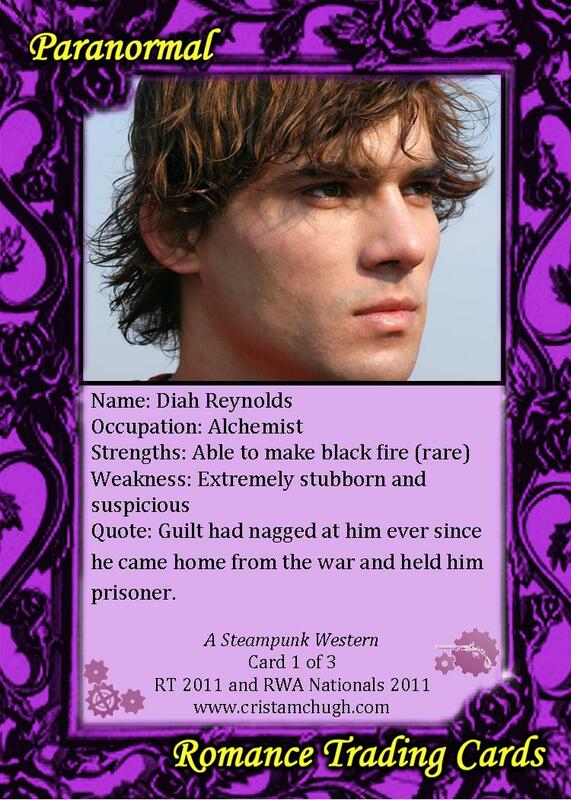 These cards will be available at RT Booklovers Convention 2011, RWA Nationals 2011, and Emerald City Writer’s Conference 2011. 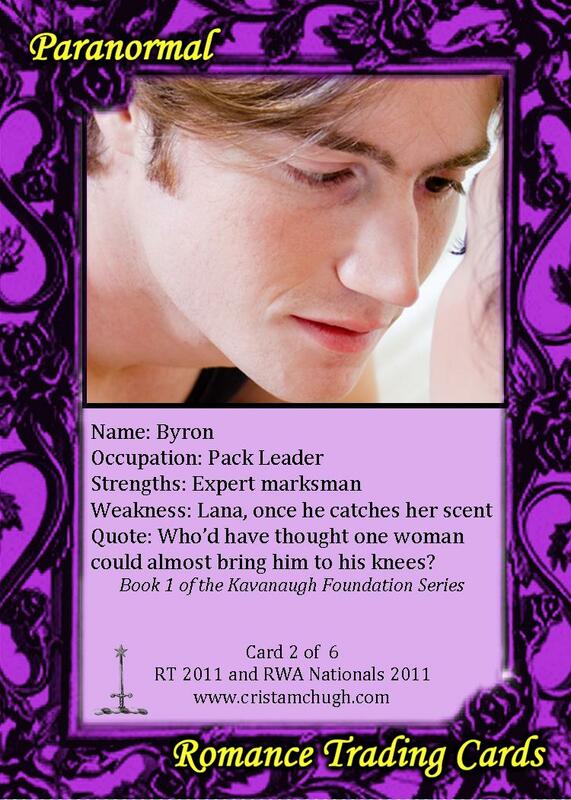 However, if you won’t be at those conferences and would like me to mail some (or all) of them to you, please use my contact form and let me know. I’ll gladly drop them in the mail to you! 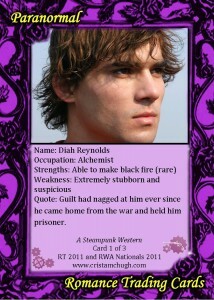 Each of the cards will feature the cover on the front and character profiles on the back.